Look here for the latest updates on club happenings! SCTC US Open Grand Prize - Bucket List #1! 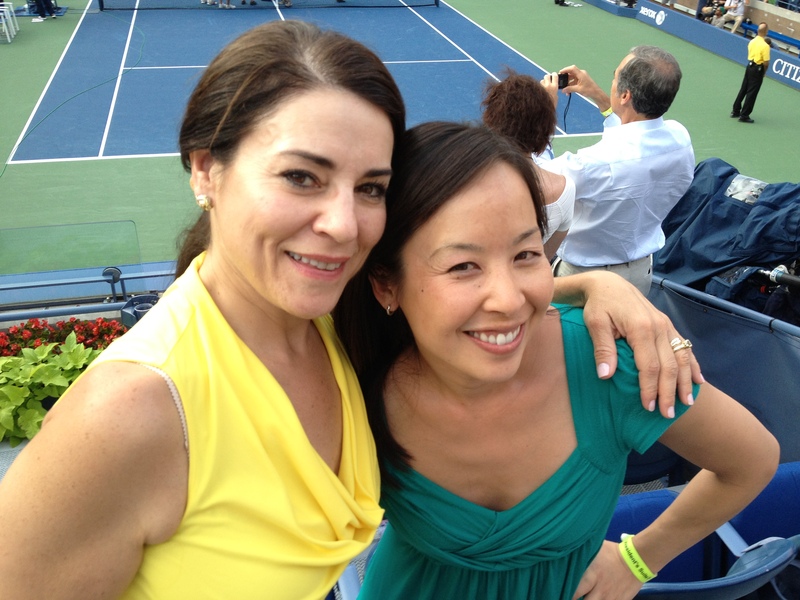 I never had - or thought I needed - a bucket list … that is, until I attended the US Open this year. Two tickets to the Presidential Suite won through the San Carlos Tennis Club Raffle for improvement of local school tennis facilities, and generously donated by USTA, exposed a world I had hitherto experienced only on TV. But live, at Arthur Ashe Stadium, sitting 30 feet from the world’s greatest players, up close for every fist pump and grimace, is an addictive experience that makes you want to come back again and again. It is the magnitude and grandeur of the event that is not fully captured from one’s flat screen. The Bill Jean King National Tennis Center provides a bucolic setting on 46 acres for the final Grand Slam of the summer. Entrance to the grounds is lined by 30-foot fountains encircling the Unisphere, the world’s largest world from the 1964-65 World’s Fair. Inside the grounds, the excitement is palpable, as you stroll down the walkway of the stars, or visit the USTA Hospitality Center, where a pro can analyze your serve or you can practice shots with a computer partner. And, while Arthur Ashe – tennis’ largest purpose-built stadium – and Louis Armstrong stadium are impressive facilities with every seat affording good viewing, there are 22 courts on the grounds where one can watch practice and world class matches of the top names in tennis as well as the up-and-comers only a few dozen feet away – a thrilling encounter everywhere we turned. An unforgettable experience and a Bucket List #1! Thanks San Carlos Tennis Club! SVTA held a great kids community event at Arguello on Dec 3. Check out some of our future tennis stars! Congrats to the 7.0 Mixed 50 Team! 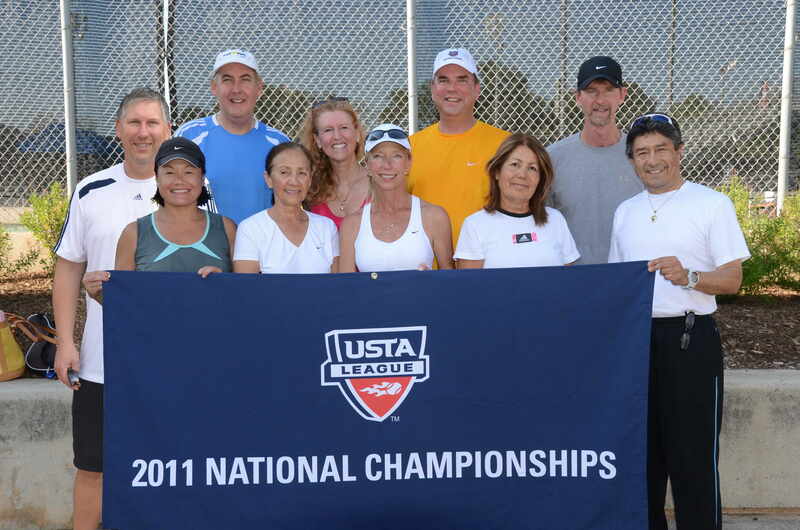 SCTC wants to Congratulate the 7.0 Mixed 50 team captain by Dorothy Benke and Barby Pickett for their accomplishment of winning the Norcal Sectional tournament this past weekend and now going to the National Championship in April 2012. They have a terriffic team and had to play some very tought competition. This league started with 85 teams participating from Gilroy to Sacramento. Over the weekend that had to play and win 5 matches in 3 days-WOW. 50 Mixed 8.0 team heading to Sectionals! Barby Pickett's 50 mixed team won their playoff match and will be getting ready for Sectionals. 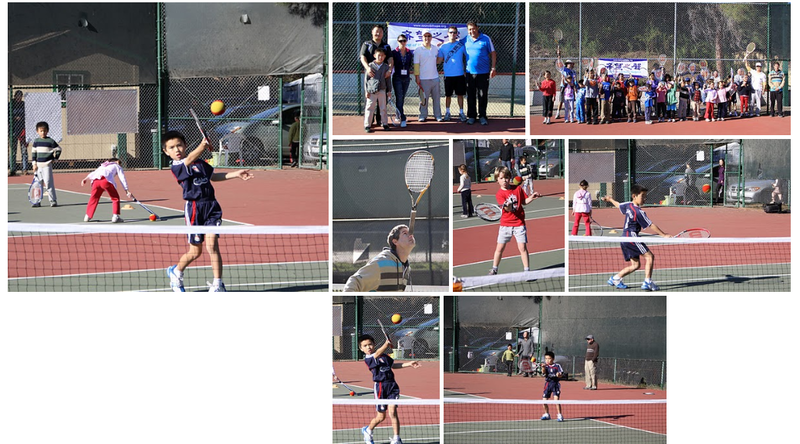 The second in a series of five Interclub tournaments was held on Saturday, June 5th at the Arguello Courts in San Carlos. This popular tourney drew 20 men and women in the 3.0-3.5 category from both SCTC and Redwood Shores TC. The day consisted of a mixture of men’s and women’s doubles, mixed doubles and combo doubles. We had some very competitive tennis on played but came up short again against RSTC. Click here to check out pictures from the event. We’re now 0-2 in the Interclub Matches, but we still have another three clubs to go. The next Interclub schedule is as follows and can also be found on the website. Look for email announcements to arrive soon! Our first tournament of the year was a great success considering all the rain lately. 24 players registered for the event Jan. 30th. With the rain Friday night, the start time was pushed back to work on getting the courts dry. Thanks to all of those who showed up early to get the courts ready. After lots of work, play started around 11:00 am getting in two sets before lunch. Barbequed chicken, bratwursts and all the fixings were on the menu. Don’t forget the liquid libations! The afternoon supported on more set. Two Sap tickets were given to the top five players with the most wins. The problem was all five never lost a set each having won 24 games. Fewest losses broke the tie. Most Importantly all had fun and no broken bones. Again, a big thank you goes out to all of you who attended the SCTC Holiday Party on December 12, 2009. This year proved to be another very special evening. Aside from the great food, beverages and prizes there was a lot of great conversation. And let us not forget the dancing. Also, a very special thank you needs to be given to John Geer who arranged for a professional photographer at the event. It is not very often we get caught in something other than our tennis clothes, so it was nice to have a memory of that moment. I hope all of you have had a chance to view his album and order your photos. If not, please e-mail me or John and we will forward it to you. The photographs are on sale through Costco. I have already ordered my CD. I am extremely grateful for the opportunity to again plan the 2010 Holiday Party for such a great group of people. My goal is to double the attendance from approximately 60 people this year to 120 next. I will check in early in the year with the date for next year so you can mark your calendar. The 2009 SCTC Away Trip at Pajaro Dunes was a total blast! We had fabulous weather, both on the courts and at the beach. After hard days of battle and frolic on the courts, we cleaned up fast for serious fun over dinners, dancing, drinking (yes, adult beverages were present), games and more. From the deck of our Party Central condo, we enjoyed dazzling sunsets stretching from sand and surf to the horizon, blending into clear cool nights decorated by a full moon producing luminescent waves! 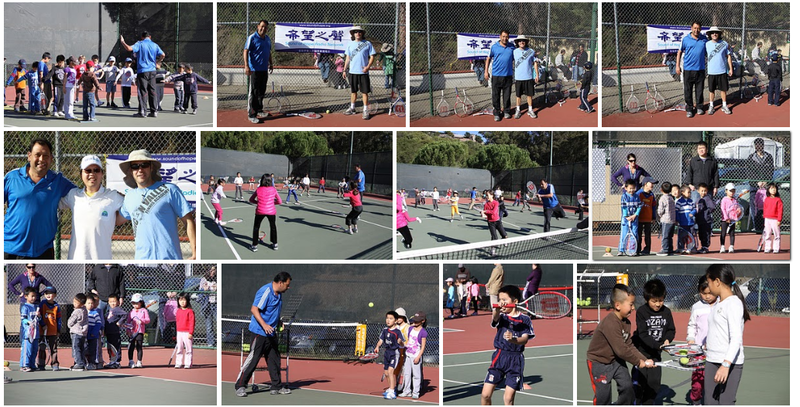 We started out with some fun warm-up tennis on Thursday, and then progressed into half day tournaments played on Friday and Saturday mornings. Thank you to Jim Bjorge and Becky Reiss for setting up the tournament draw. Everyone enjoyed four rounds of tournament play each day, and many die-hards continued to enjoy tennis-‘til-you-drop in the afternoons, while others luxuriated in strolls on the beach. Could we have gotten any more tennis in? … I don’t think so! Thank you David Aitchison for coordinating the tournament players each day and tracking the scores. We finished up the tournament early Saturday afternoon with Irina DellaMorte taking first place and Jim Bjorge coming in second place. Congratulations to you both on your wins. After the tournament, we held the White Elephant gift exchange with Jeff Peterson our club President as master or ceremonies. Jeff was truly entertaining during the gift exchange/stealing and had us laughing the whole time. Everyone enjoyed two days of lunch at the courts, a fantastic potluck dinner Friday night, Armadillo Willy’s BBQ dinner Saturday night, and finishing up with courtside breakfast on Sunday morning. Needless to say, with all that food, it's good thing there was lots of tennis … not to mention the dancing after dinner! Special thanks to John Geer for taking the time to shoot dozens of spectacular pictures of us, on and off the courts. In fact, he had them downloaded and ready to view after each dinner. Thanks for the memories John. I would like to also thank others that helped make this another wonderful and successful away trip – Doug McIlwraith, Joyce Madeira, Walt Thomas, Skipp Prack, Melody Chambers, Joe Poppo, Jim Bjorge. You all pitched in at various times and I couldn’t have done everything without you. I also want to thank the thirteen ladies in our host condo who helped me with cleanup. These ladies were great and good company over the four days. It was simply a most excellent weekend, and we were delighted to have a few new people joining us this year and making new tennis friends. We hope to see you all again next year, and we look forward to Ana and Tom Akin joining the 2010 SCTC Board as the 2010 Away Trip Directors!